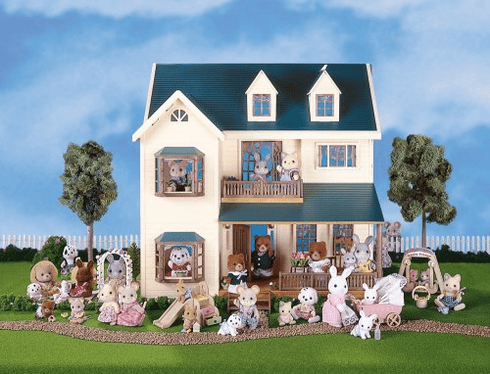 Calico Critters Signature Home has 9 large rooms to decorate and real life details that include spiral staircase, front porch railing and second floor balcony. It also features bay windows, French doors, and front doors that open and close. Measures 17"x17"x17"